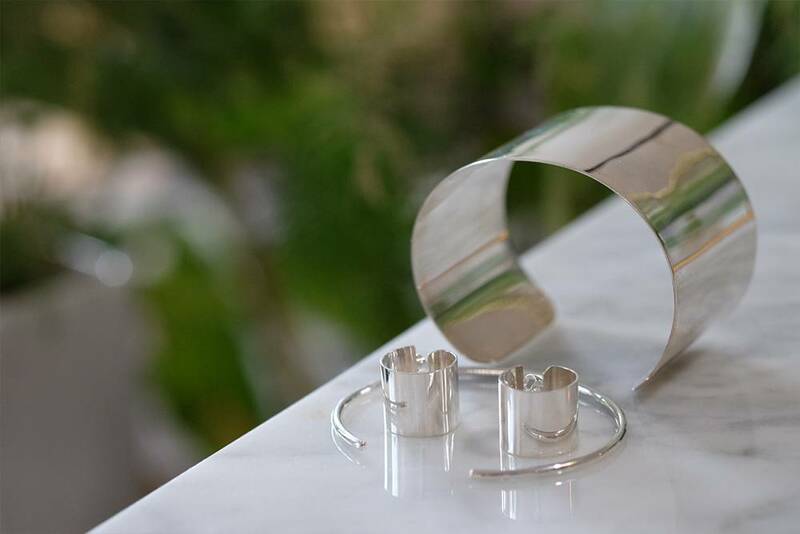 The classic hoop, sculpturally re-imagined. 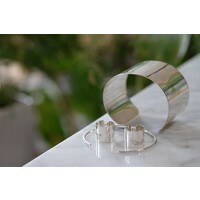 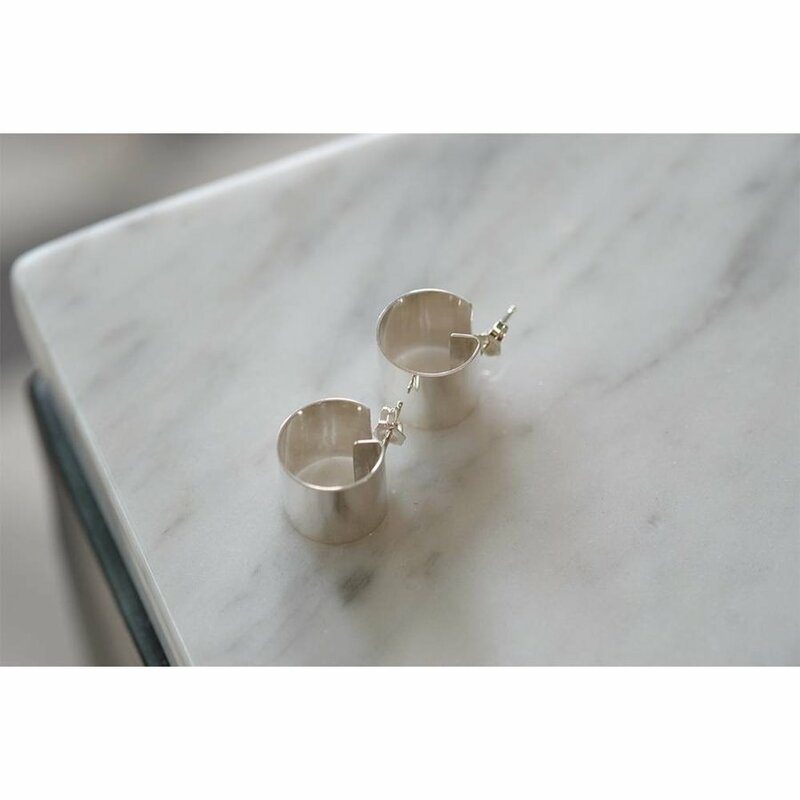 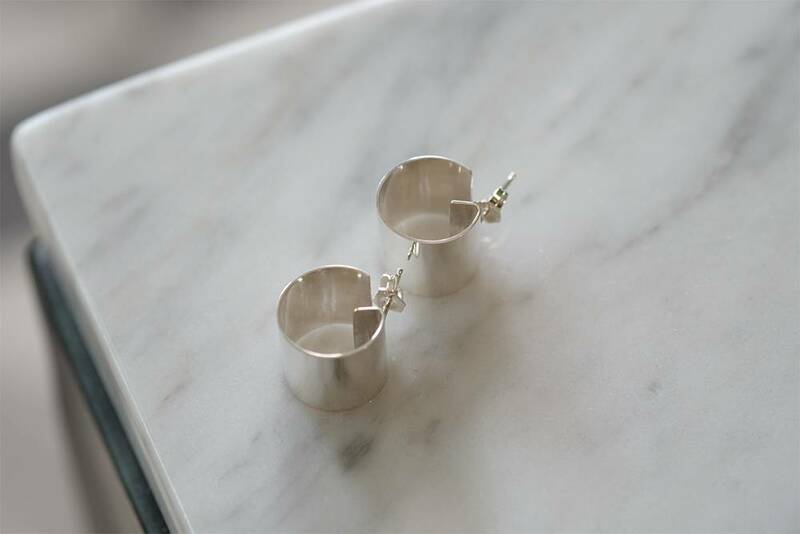 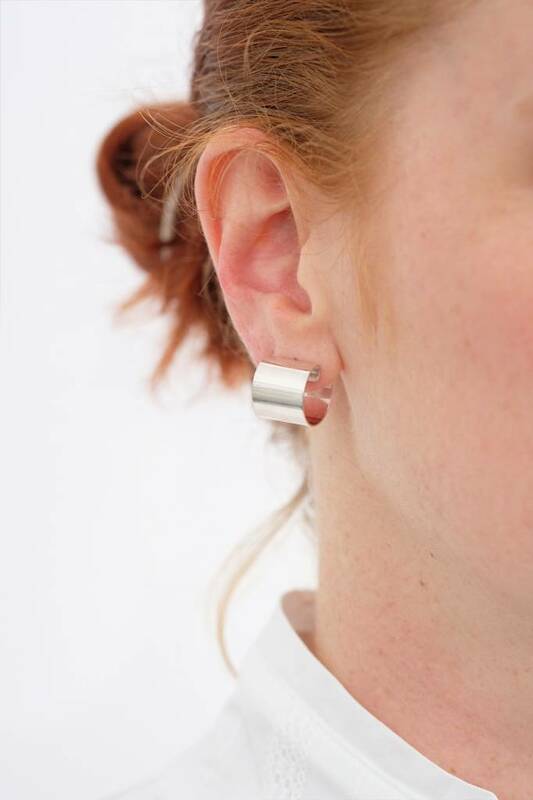 This unassuming hoop earring is made from a simple tab of silver, wrapped carefully to form a micro-cylinder with a special cut-out to hug your ear. 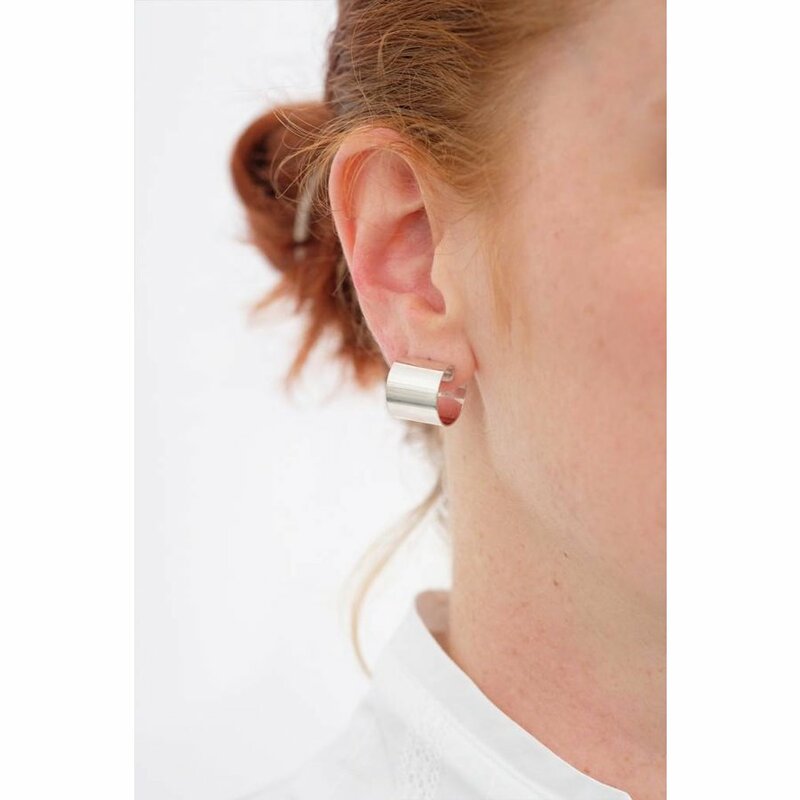 Like all of Kristen Elspeth's jewelry, what at first glance seems commonplace, reveals itself as wearable sculpture. 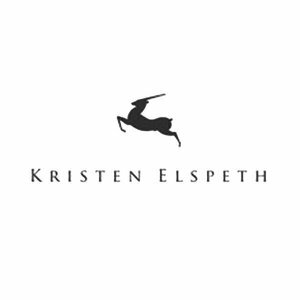 Ever since she re-crafted her mother and grandmother's broken jewelry as a child Kristen Elspeth has designed environmentally conscious jewelry from found and forgotten materials. Launched in 2005, her self titled jewelry collection is handcrafted in Los Angeles.